I'm not dead yet! Here's a concept of a character I want to model. 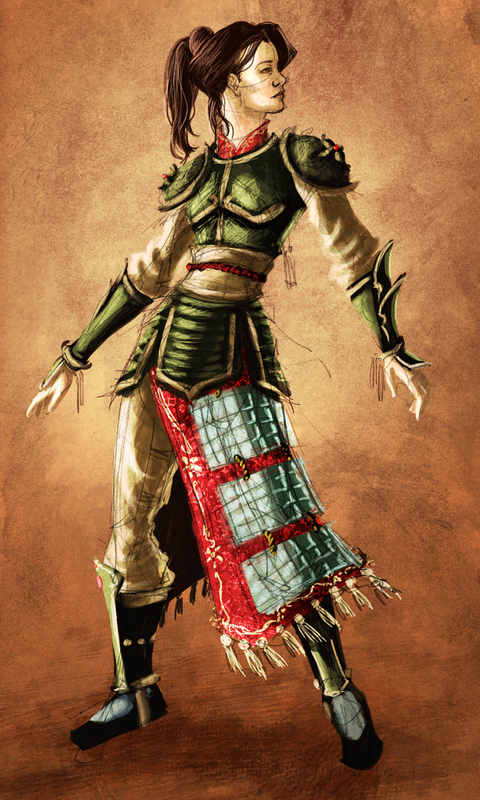 My goal is to make a design that fits into a Dynasty Warriors game. I'm going to incorporate a lotus theme a little more into the armor design. I'm also gonna make it a little more ornate and vibrant, right now it's looking too plain to me. There'll be a better picture later to follow!